These pillar boxes stood on almost the same spot at the corner of the Old Steine and Marine Parade. 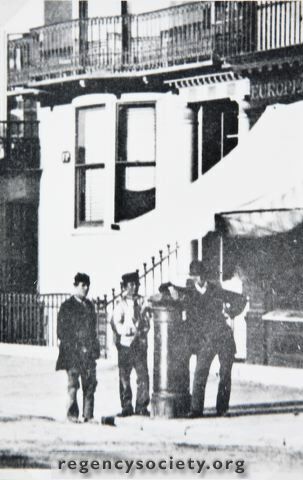 This view shows the oldest one placed here in April 1858, being one of the first four pillar-boxes installed in Brighton. The photograph dates from the 1860s.